Trying to find someone you can trust to help you take care or repair your home or anything on your property can be difficult. While checking with your friends and family members to see who they have used in the past is a great place to start, it might not paint the whole picture. Online reviews have become an increasingly popular way to find highly rated businesses, but they often lack a personal touch, especially when most people’s needs seem to be a lot different than your own. 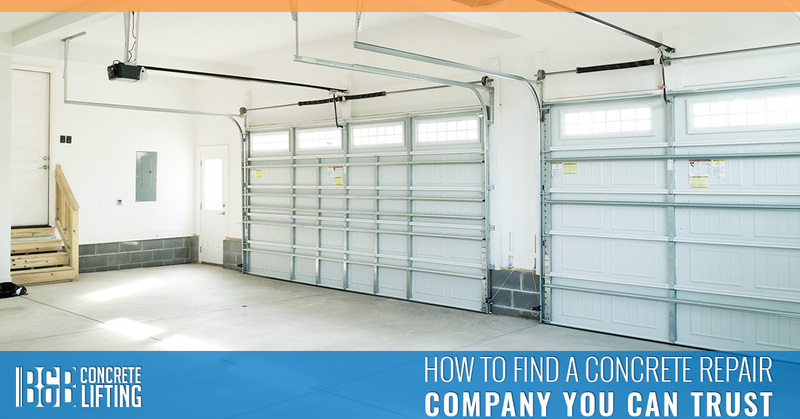 One of the best ways to find a company that you can count on is to look at their experience and how long they have been in business. 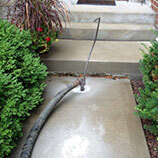 If you are looking for a concrete repair company in the Chicago area, contact us at B&B Concrete Lifting. 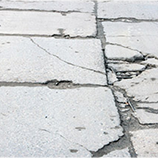 Not only have we been in business for years, we have many more years of experience helping people save their concrete. Read on to learn about a few of the reasons that you can trust us to perform the work you need at a fair price. It doesn’t take much work for someone to enter some keywords on their website to start showing up in search results. While that is good for companies who know what they’re doing, a lot of companies take a shotgun approach — they add as many words as they can to show up in as many searches as possible. At B&B Concrete Lifting, we do concrete lifting and repairs. That’s it. We aren’t trying to show up in other searches because we are a specialized, experienced company that has one goal: to make your concrete look better and last longer. One of the most important parts of experience is the amount of time in the industry. While B&B Concrete Lifting is a newer business, we have helped lift concrete for more than 20 years as a part of other companies. We learned how to do the job right and how to do it efficiently by learning from the best and carrying the torch of great work done on time and under budget. Learn more about our history in the concrete lifting business, here. While the idea behind void filling and concrete lifting is relatively simple, actually accomplishing the results you want to make your concrete slabs lie flat again is much more difficult. In addition to having the skills and experience to perform the work correctly, it is also necessary to have the right equipment. After more than 25 years of work, we have seen what equipment works, what doesn’t, and what equipment makes everything run as smoothly as possible. We have chosen only the best for B&B Concrete Lifting because it creates the most consistently excellent results. We have condensed our equipment down to the smallest possible space, so you won’t have to worry about a bunch of vehicles taking up space in your neighborhood or damaging your landscaping. Our process has been honed to be incredibly fast and thorough. We will arrive on time, make the least amount of noise possible, take up as little space as possible, and get to work. Most jobs, even fairly involved jobs that require us to work on more than one slab, can be completed in just a day or two. 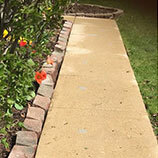 Best of all, our process allows you to start using your concrete within a few hours — there will be no need to park out on the street for a few days like you would have to if you needed to have new slabs poured. 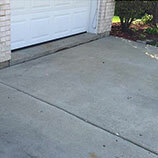 Contact B&B Concrete Lifting in Chicago today if you have seen some of your concrete starting to tilt or crack. The sooner you notice these warning signs, the more likely we are to be able to help prevent the damage from getting worse. We offer free quotes, so don’t hesitate to reach out. Our concrete lifting services are faster, easier, and cost, on average, about half of what you would pay to have a slab poured again. Our work is guaranteed for a full two years, but is likely to provide a lifelong solution to sinking slabs. You can count on us to deliver great results every time.